At The Garden Mews we have created an environment that finds the perfect balance between tranquility and stimulation for our guests, which in turn enables your cat to settle in quickly for a relaxing stay. 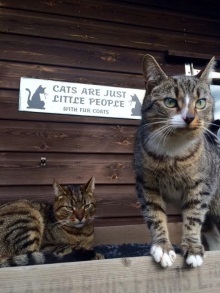 Kirsty Walden and her family make up The Garden Mews team so care and cuddles are plentiful. 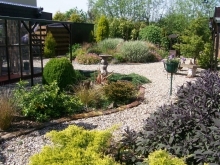 The delightful setting is designed around a courtyard complete with its own garden and wildlife pond. Frequent visitors are a large variety of birds, butterflies, dragonflies, frogs and toads and coupled with a harmonious ambience your cat can enjoy a chill-out experience. We have a choice of accommodation to suit your cats needs and we very much look forward to showing you around and discussing your boarding requirements. A typical customer comment is "Can we come and stay too!" Licensed under the Animals Boarding Establishments Act 1963.